Without a doubt, Bar Raval was one of the hottest restaurant openings of the year. Despite the crowded, standing-room only conditions, I’ve had several memorable meals at this tapas bar which keeps me coming back for more. One of my favourite dishes here is the Stracciatella & Boquerones. 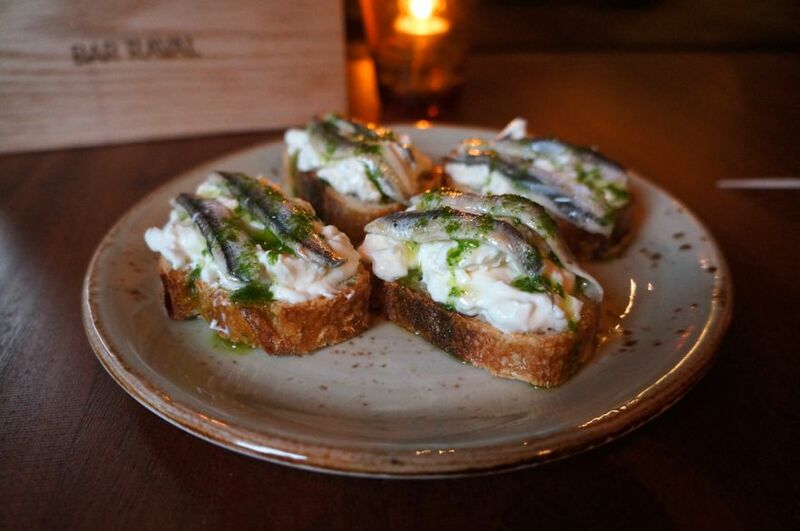 One order of these pintxos comes with two pieces of crostini topped with creamy buffalo milk cheese, parsley oil and briny anchovies. A must-order! 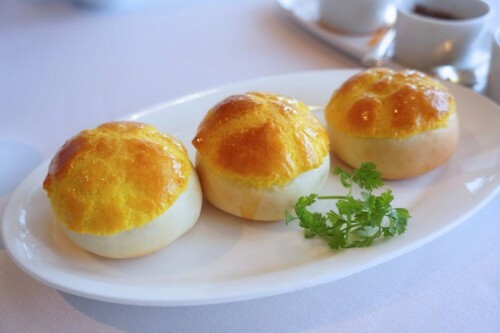 I thought I had the best baked BBQ pork buns at Tim Ho Wan until we tried them at the three Michelin star Lung King Heen. These buns were filled with generous chunks of BBQ pork and the crusty topping had just the right amount of sweetness. The perfect sweet and savoury combination! Located in the main Tokyo train station, Rokurinsha is notorious for their 2+ hour waits. But I assure you, their ramen is worth the wait. 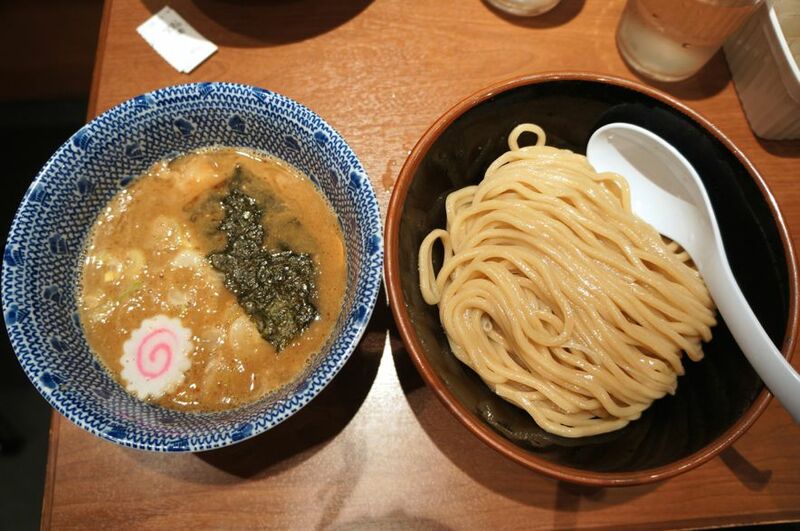 They specialize in the tsukemen variety, where the noodles are served separately from the broth. The idea is to dip the noodles into the broth and slurp ’em up. It’s made with a tonkotsu pork bone base and has a distinctly fishy flavour from the dried mackerel they’ve used. The noodles are also a standout – they’re a little thicker and have a wonderful chewiness to them. I loved that the broth had a way of clinging onto each noodle. Definitely a game-changing bowl of ramen. 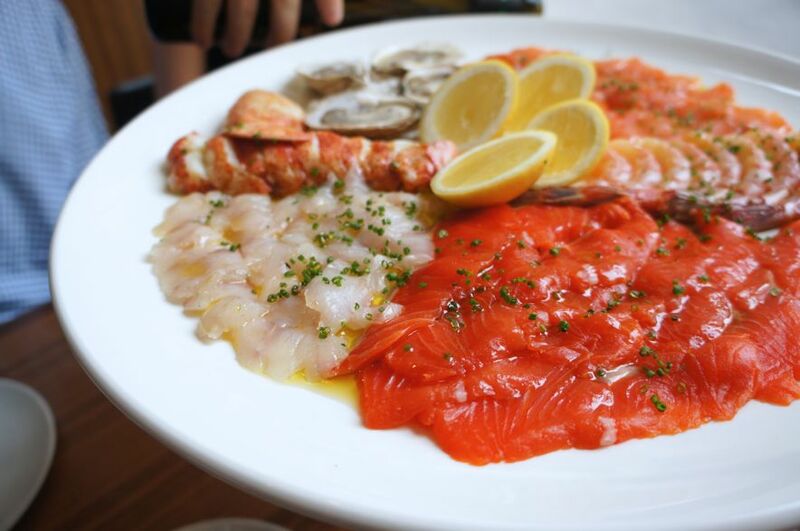 At $139, the price tag of the Crudo Misto platter at Buca certainly matches its swanky Yorkville address. If you bring along a couple friends, this platter is worth the splurge. This daily selection of raw seafood, which is meant to serve four, is served simply with unfiltered Sicilian olive oil, lemon and sea salt. The simplicity of it allows the natural flavours of the seafood to shine and boy does it! Without a doubt, Neptune Oyster has got to be one of the most popular restaurants in Boston. Like all good things, you’ll have to wait for it. 2+ hour waits are the norm so your best bet is to come during off-peak hours in the middle of the week. We had a fantastic meal here but the one thing everyone comes to Neptune Oyster for is their Maine Lobster Roll (served hot with butter) and it did not disappoint. 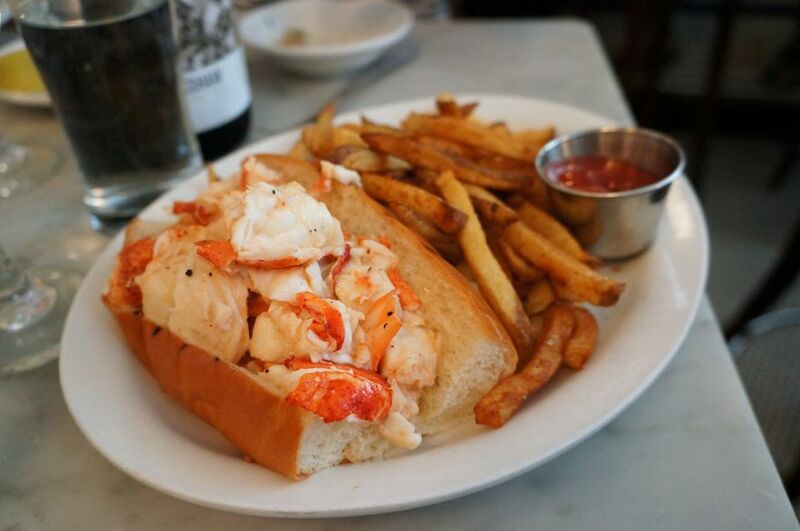 The roll arrived with sweet chunks of perfectly cooked lobster overflowing from the grilled brioche bun. 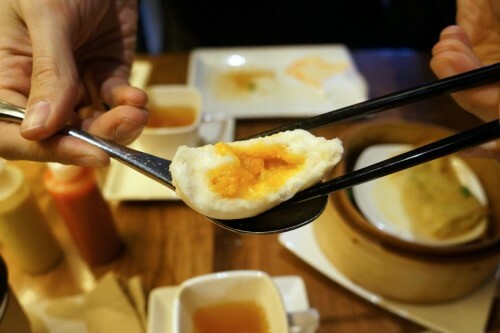 At this midtown dim sum restaurant, you’ll find these soft pillowy white buns filled with a hot, oozing custard-like filling made from egg yolks which has notes of sweet and salty to it. They were the perfect ending to our dim sum feast at Kwan! 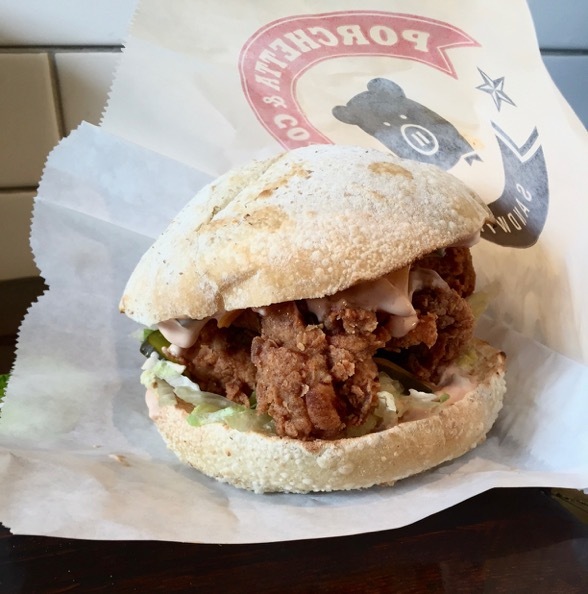 I’m a big fan of Porchetta & Co’s classic porchetta sandwich but they often offer daily specials which sound too good to resist. One of them is the Big Mac Fried Chicken sandwich which is exactly what it sounds like. It consists of a piece of juicy fried chicken with all the Big Mac fixin’s – lettuce, pickles, cheese and of course, their version of the Big Mac sauce. Follow them on twitter (@PorchettaAndCo) or Instagram (porchettaandco) to find out when these sandwiches are available. 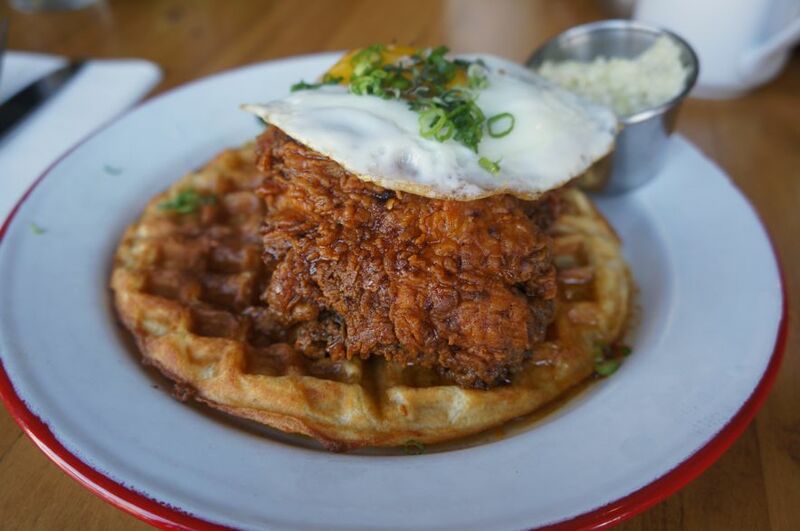 Hopgood’s Foodliner does a killer brunch but the one dish that really blew us away was the hot chicken and waffles (yup, another fried chicken dish makes the list!). The chicken was fried to perfection with a crisp and flavourful batter and a moist interior. The waffles were equally delicious and the gooey egg on top gave the dish a breakfast-y feel. If you’re looking for a good brunch spot in the Roncesvalles area, you’ve gotta come to Hopgood’s. Bonus: they take reservations for brunch. One of the best dining experiences this year was at Boralia. According to their website, “Boralia celebrates the historic origins of Canadian cuisine” and they’ve done so in a stunning manner. Mike and I eat out a lot so it’s not always easy to find a menu that really excites us. But at Boralia, I honestly wanted to order every single item on their menu. We came very close and there wasn’t a dish I didn’t enjoy. 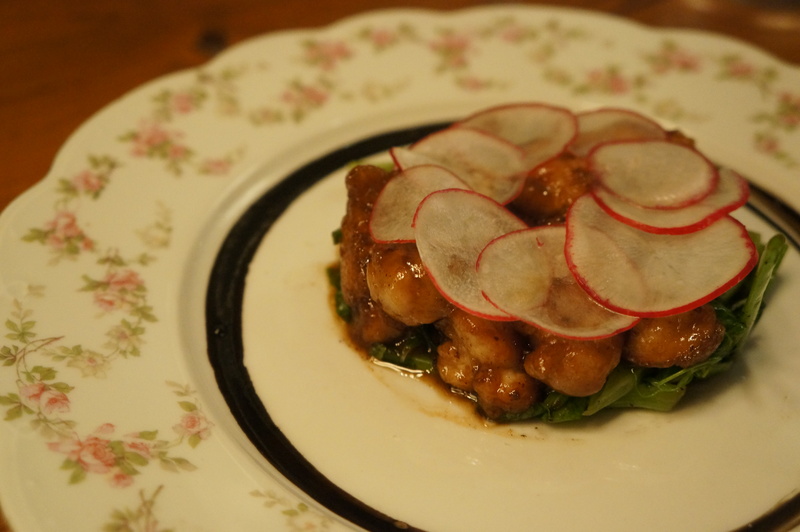 There were so many favourites including the pigeon pie, venison liver foie gras parfait and mussels smoked in pine needles but these plump sweetbreads in a sweet Madeira glaze were a real standout in my mind. A dinner reservation at Alo is now one of the hottest ticket’s in town. The restaurant, which opened up over the summer, received a perfect four-star review from the Globe and Mail’s Chris Nuttal-Smith and was included in his ‘Top New Toronto restaurants of 2015’ list as well as Amy Pataki’s (from The Star) list of ‘Best Toronto restaurants for 2015.’ When I tried to make a reservation at the end of October for a weekend in December, I was told that all weekends were already fully booked until January. Like I said, hottest ticket in town! 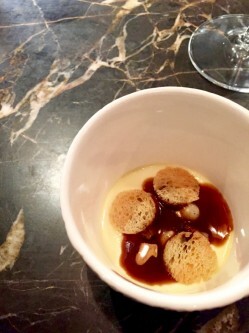 I managed to book two seats on a weekday at the Chef’s rail which features an extended tasting menu. It was an incredible meal from start to finish and the service was impeccable. There were many highlights but my personal favourite was the egg custard with brioche crisps and an intensely flavoured foie gras sauce. Heavenly! A big thank you to everyone who’s been following along on our food adventures. Happy new year to you all and may 2016 be another fantastic year filled with great eats!